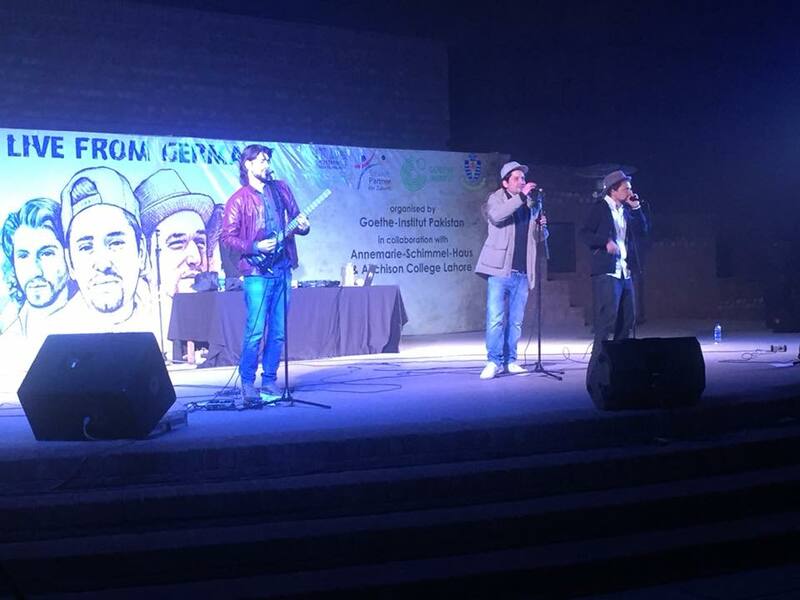 We, in collaboration with the Rafi Peer Theatre Workshop (RPTW), had organised the musical band RAGGABUND – from Germany on January 26, 2018 at 6.30 pm at the Rafi Peer Cultural Centre, Lahore. For over a decade, the German band RAGGABUND has inspired fans with a mix of Reggae, Dancehall and Latin Music. The first album of the band, “ERSTE WELT” is considered to be a landmark in early German reggae. The four band members, Nils Leske, Luca Bochichio, Andreas Leske und Michele Bochichio, have made quite a name for themselves among young people and have toured extensively, including on behalf of the Goethe-Institut in South America during 2015 and South Asia (including Karachi) at the end of 2017 where they performed in front of thousands of students in various countries for our partner schools and also held workshops for teenage students.